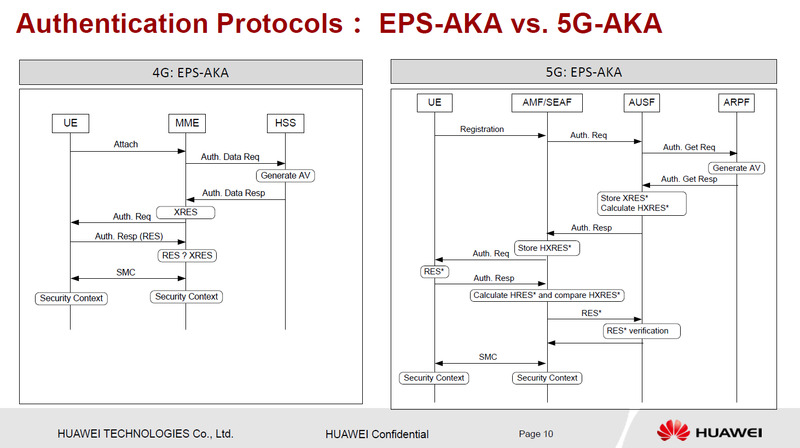 Its been a while since I wrote about 5G security in this fast changing 5G world. If you are new to 3GPP security, you may want to start with my tutorial here. 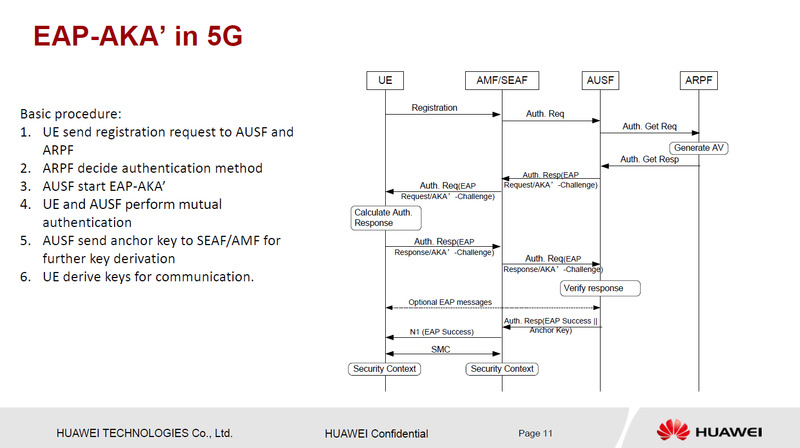 5G security specification finalized! Paving path for new business & worry less connected technology use. 3GPP SA3 delegates worked long hours diligently to conclude the specification for 5G security standard during 26 Feb.-2 Mar. Several obstacles were overcome by focussed effort of individuals & companies from around the globe. Thanks and congrats to everyone! All together 1000s of hours of work with millions of miles of travel were spent in 1 week to get the work done. This took 8 meetings (kicked off Feb. 2017) numerous on-line meetings and conference calls. Excited to declare that this tremendous effort led to timely completion of 5G security specification (TS 33.501) providing secure services to everyone and everything! The latest version of specs is on 3GPP website here. ITU also held a workshop on 5G Security in Geneva, Switzerland on 19 March 2018 (link). There were quite a few interesting presentations. Below are some slides that caught my attention. 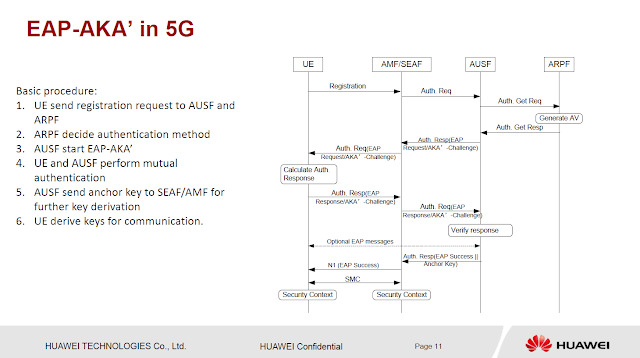 The picture in the tweet above from China Mobile summarises the major 5G security issues very well. 5G security is going to be far more challenging than previous generations. The presentation by Haiguang Wang, Huawei contained a lot of good technical information. 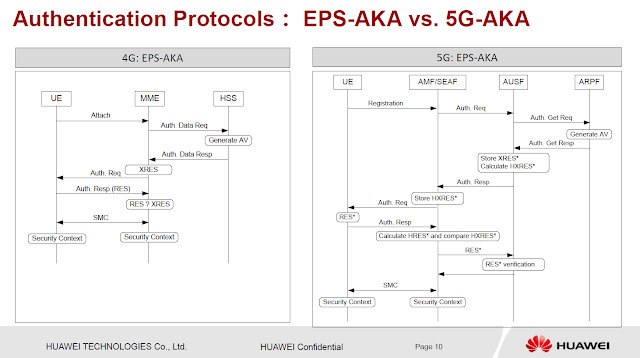 The picture at the top is from that presentation and highlights the difference between 4G & 5G Security Architecture. New entities have been introduced to make 5G more open. Slice security is an important topic that multiple speakers touched upon and I think it would continue to be discussed for a foreseeable future. 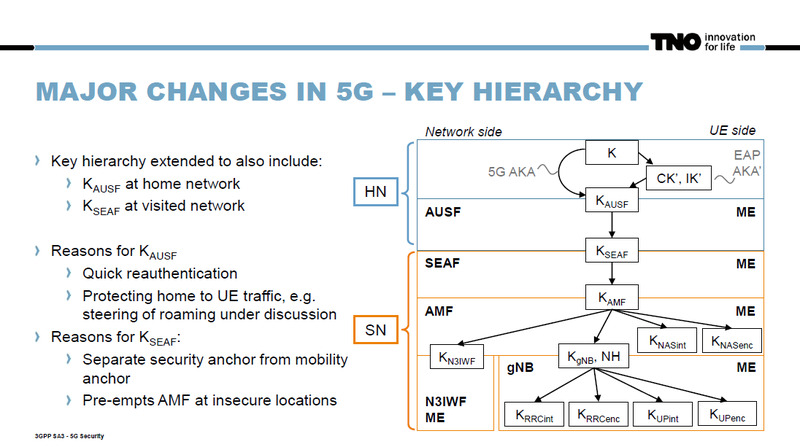 Dr. Stan Wing S. Wong from King’s College London has some good slides on 5G security issues arising out of Multi-Tenancy and Multi-Network Slicing. Sander Kievit from TNO, a regular participant of working group SA3 of 3GPP on behalf of the Dutch operator KPN presented a view from 3GPP SA3 on the Security work item progress (slides). The slide above highlights the changes in 5G key hierarchy. 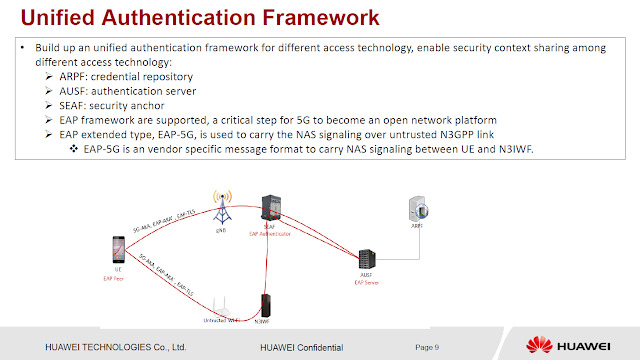 The ITU 5G Security Workshop Outcomes is available here. ETSI Security Week 2018 will be held 11-15 June 2018. 5G security/privacy is one of the topics. There is also 5GPPP Workshop on 5G Networks Security (5G-NS 2018), being held in Hamburg, Germany on August 27-30, 2018. In the meantime, please feel free to add your comments & suggestions below. 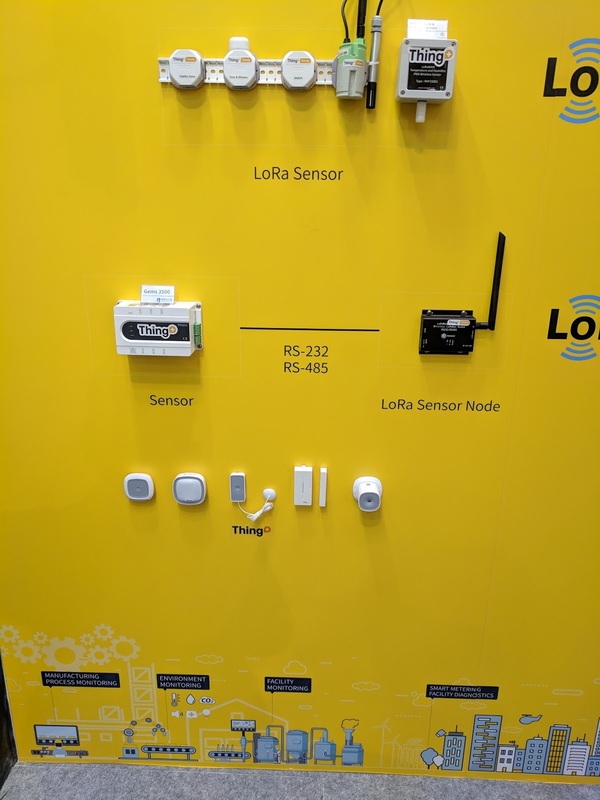 During the mobile world congress, I was pleasantly surprised to see how LoRa ecosystem keeps getting larger. There was also an upbeat mood within the LoRa vendor community as it keeps winning one battle after another. Here is my short take on the technology with an unbiased lens. To start with, lets look at this short report by Tom Rebbeck from Analysys Mason. The PDF can be downloaded after registering from here. • two, Softbank and Swisscom, are working with LoRa, LTE-M and NB-IoT. We are not aware of operators also owning Sigfox networks, though some, such as Telefónica, are selling connectivity provided by a Sigfox network operator. The incremental cost of upgrading from NB-IoT or LTE-M to both technologies is relatively small. Most estimates put the additional cost at less than an additional 20% – and sometimes considerably less. For many operators, the question will be which technology to prioritise, and when to launch, rather than which to choose. The reasons for launching multiple networks appear to be tactical as much as strategic. Some operators firmly believe that the different technologies will match different use cases – for example, LoRa may be better suited to stationary, low bandwidth devices like smart meters, while LTE-M, could meet the needs of devices that need mobility, higher bandwidth and support for voice, for example a personal health monitor with an emergency call button. But, a fundamental motive for offering multiple networks is to hedge investments. While they may not admit it publicly, operators do not know which technology will gain the most traction. They do not want to lose significant, lucrative contracts because they have backed the wrong technology. Deploying both LTE-M and NB-IoT – or LoRa – adds little cost and yet provides a hedge against this risk. For operators launching LoRa, there has been the added benefit of being early to market and gaining experience of what developers want and need from LPWA networks. This experience should help them when other technologies are deployed at scale. LPWA network technologies continue to gather momentum with adoption from a growing ecosystem of communications service providers (CSPs), original equipment manufacturers (OEMs) and IoT solution providers. 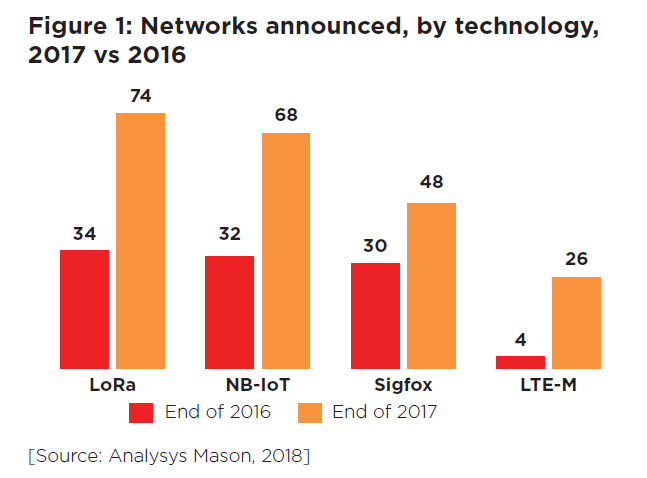 LPWA networks are central to the connectivity offerings from telcos with support for NB-IoT, LTE-M, LoRaWAN, and SIGFOX. Telefonica highlighted SIGFOX as an important network technology along with NB-IoT and Cat M in its IoT connectivity platform. Similarly, Orange and SK Telecom emphasized on their continued support for LoRaWAN along with Cat M in France and South Korea. On the other hand, Vodafone and Deutsche Telekom, while aggressively pursuing deployment of NB-IoT networks, currently have mostly large scale POCs on their networks. Smart meters — Utilities are demanding that meter OEMs and technology solution providers deliver product design life of at least 15 years for battery operated smart water and gas meters. 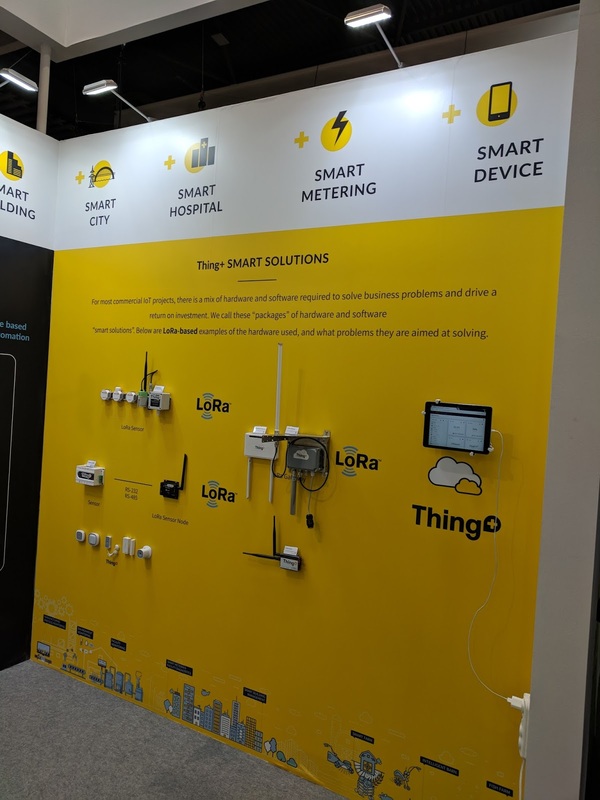 LPWA technologies, such as NB-IoT, LoRaWAN, SIGFOX and wireless M-bus, that are optimized for very low-power consumption and available at low cost are clearly emerging as the most favored LPWA solutions. So someone recently asked me is LoRa is the new WiMax? The answer is obviously a big NO. Just look at the LoRa alliance members in the picture above. Its a whole ecosystem with different players having different interests, working on a different part of the ecosystem. NB-IoT & LTE-M will gain ground in the coming years but there will always be a place for other LPWA technologies like LoRa. Finally, here is a slide deck (embedded below) that I really like. 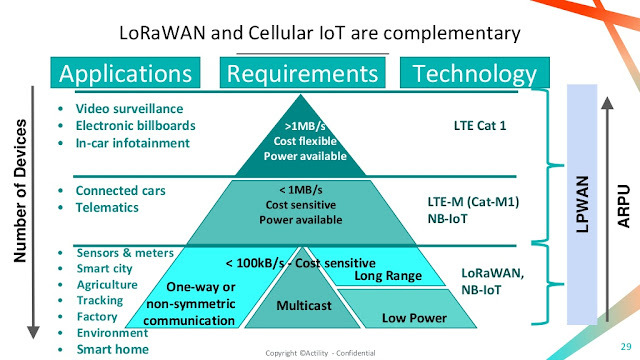 The picture above very nicely illustrates that LoRaWAN and Cellular complement each other well. Maybe that is the reason that Orange is a big supporter of LoRa. 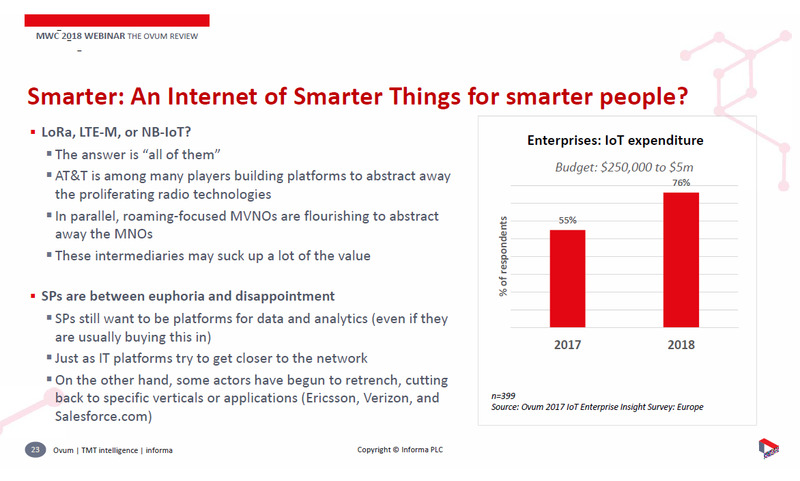 So for operators who are just starting their IoT journey or smaller operators who are unsure of the IoT potential, may want to start their journey with LoRa to play around and understand the business cases, etc. In the meantime LTE-M and NB-IoT ecosystem will mature with prices coming down further and battery time improving. That may be the right time to decide on the way forward. This year at MWC, I took the time out to go and see as many companies as I can. My main focus was looking at connectivity solutions, infrastructure, devices, gadgets and anything else cool. I have to say that I wasn't too impressed. I found some of the things later on Twitter or YouTube but as it happens, one cannot see everything. I have to be honest, haven't seen a WOW demo yet at #MWC18. While there are lots of interesting stuff, it's all the same, old and tired stuff. I will be writing a blog on Small Cells, Infrastructure, etc. later on but here are some cool videos that I have found. As its a playlist, if I find any more, it will be added to the same playlist below. The big vendors did not open up their stands for everyone (even I couldn't get in 😉) but the good news is that most of their demos is available online. 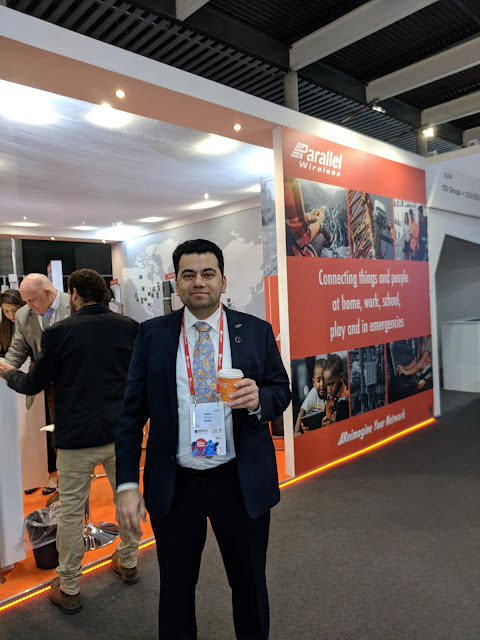 Below are the name of the companies that had official MWC 2018 websites. Will add more when I find them. Did I miss anyone? Feel free to suggest links in comments.